Millions cannot access education for one simple reason: poverty. However, education would help lift them out of poverty – by giving them the chance of a better job. That’s why Islamic Relief is committed to breaking this cycle of poverty. We want to ensure that all children receive at least primary education, and that adults are taught key skills for employment too. 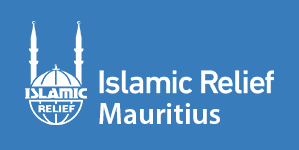 Islamic Relief builds and rehabilitates schools, stocking and equipping them as well as providing training to teachers to provide quality teaching. We also support schools with milk and nutritional meals, to ensure that children are healthy enough to concentrate and learn. The Prophet, peace be upon him, told us that “the best gift a father can provide for their child is an education” (At-Tirmidhi). Help us give a child this great gift today.